U2 called for the end of all terrorism and honored victims of terrorist attacks during its Belfast concert Nov. 18, which was the band’s first concert since its cancelled Paris concert last weekend. “What was happening up here made a big impact in our teenage years,” Bono told the audience, according to the Belfast Telegraph. 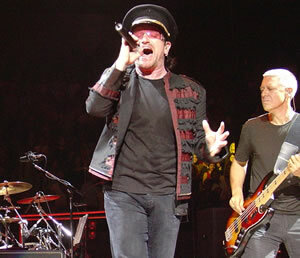 U2’s next concert will be in Dublin on Monday.